In America alone, there are an estimated 9 million cases of identity theft each year¹ and 3 trillion² spam emails sent each year. Spammers and thieves can get your information through your domain name’s public record. ID Protection keeps your information safe by privatizing your domain’s entry in public records. ID Protection keeps your information private, so identity thieves can’t find you. ID Protection follows rules set out by ICANN, the governing body for domain names. International rules require that valid contact information—known as Whois—is available for every domain name. 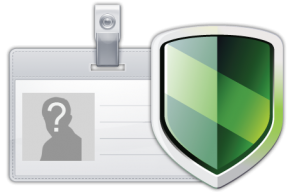 ID Protection cloaks your identity and provides proxy contact information in the Whois. ID Protection also reduces spam. In your cloaked Whois information, we provide a proxy email address that changes several times a year. We forward email sent to the proxy address, but when the proxy address changes, spam sent to the old address bounces. International rules require that valid contact information be provided for all domain names, and that it be accessible worldwide. ID Protection provides valid contact information that satisfies the international requirements without exposing your personal contact information to worldwide scrutiny. What personal information is displayed in domain name Whois and how do people find it? ID Protection provides proxy information instead of your personal contact information. Parties who want to contact you use the proxy information, and we forward to you. How does ID Protection help reduce spam? Domain name Whois is a principal source of email addresses for spammers. If your domain name has ID Protection, we change the Whois email address several times a year. Spammers harvest and use one Whois email address, but once we change it that source of spam is cut off. How do I turn off ID Protection if my domain has expired? Our support technicians can disable ID Protection on an expired domain. What if I need to prove ownership of a domain name? To prove ownership of your domain, temporarily disable ID Protection and then ask the verifying party to confirm whois registration details. Once the ownership verification is complete, you can turn the ID Protection service back on from Domains > My Domains > Manage > Addons page. Why can’t I use ID Protection with my .us domain name? Which TLD’s allow ID Protection? Can I add ID Protection to a domain name that is registered elsewhere? No. The domain must be registered with us in order to use ID Protect. You can Transfer the domain to AlpineWeb and add ID Protection once the Transfer is completed. If I’m transferring a domain name registration to AlpineWeb and it has privacy protection, do I need to turn the privacy protection off to transfer? If the privacy protection service at your current Registrar does not provide email forwarding, the service must be disabled so that you can respond to transfer confirmation emails. If I am transferring my domain away from AlpineWeb, do I need to turn off ID Protection in order to receive the transfer confirmation emails? No, our ID Protection service will forward to the email address associated with the domain name.